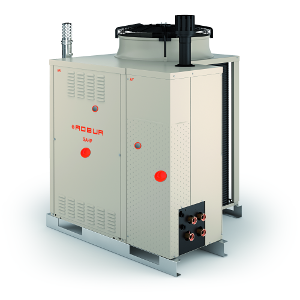 Gitié Trivalent Systems combine an air-source absorption heat pump and the condensing boiler, and is powered by natural gas. Gitié is a plug-‘n-play system, which is pre-assembled and custom-manufactured before delivery, allowing for easy, accurate installation. It is an all-in-one solution replacing a solar thermal system and is idea for residential, industrial, commercial and hospitality buildings. For each kW of natural gas equivalent used, Gitié adds 0.5 kW of free air-source renewable energy, available 24-hours-a-day. 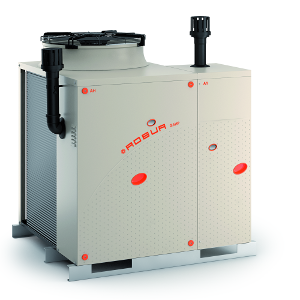 Gitié has a seasonal average heating efficiency of 158% thanks to the use of renewable energy. (G.U.E. – Gas Utilization Efficiency – equivalent to COP 4.13 considering an energy conversion factor of 2.5). The capital cost of Gitié is convenient and it provides up to 40% of running cost savings if compared with similar solutions. ESS was established in 2000 as an HVAC distributor. 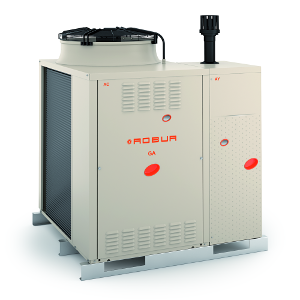 Since 2003, ESS has become the UK’s leading supplier of Gas Powered Heat Pumps, and is now pleased to offer Robur’s Gas Absorption systems in addition to its existing range of Gas Engine models. ESS is an independent, privately owned company, established for distribution of HVAC equipment to the trade only.